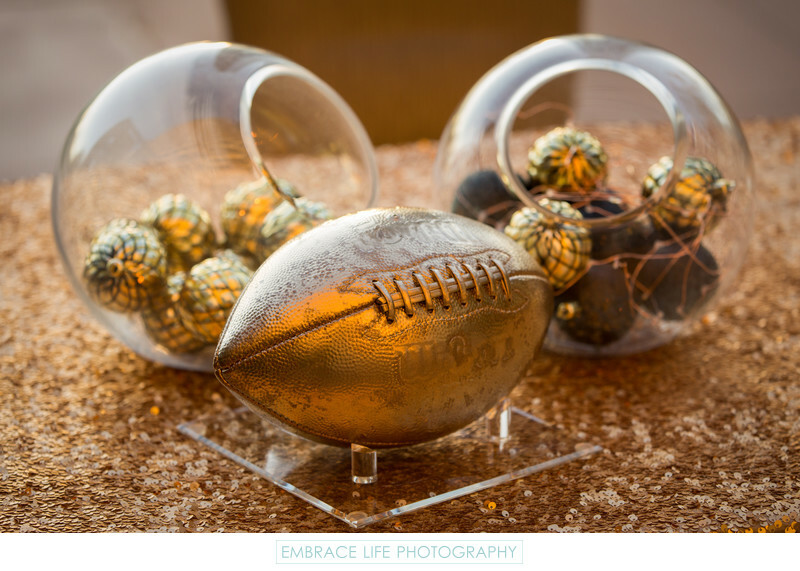 Creative gold centerpieces including ornaments in glass bowls, a golden football and beautiful gold tablecloth gave ambiance to the NFL Media holiday party photographed in Los Angeles by event photographers, Embrace Life Photography. Location: 2151 Avenue Of Stars, Los Angeles, CA 90067. Keywords: Details (1125), Event Photography (384).